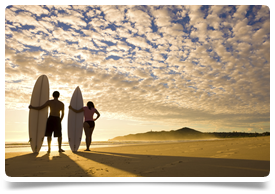 Senior House Officers / Principal House Officer roles available in the stunning sub-tropical Coastal region of Queensland, Australia. This is an opportunity for PGY2 + Doctors interested in taking a year to specialise in Australia, before returning home to complete their training. The roles are 12 month rotational contracts but will aim to accommodate your preferred specialism. Due to the range of opportunities available you do not need to go it alone – take along a friend/colleague/partner/spouse and experience the year down under together. These roles offer tropical living in the heart of the Queensland coast where you can get back to nature in this outdoor wonderland and the centre of the Southern Great Barrier Reef. Whether it’s the laid back beach community that appeals or the range of outdoor sporting activities on offer – this area gives you the ideal escape from a hectic day at the hospital!